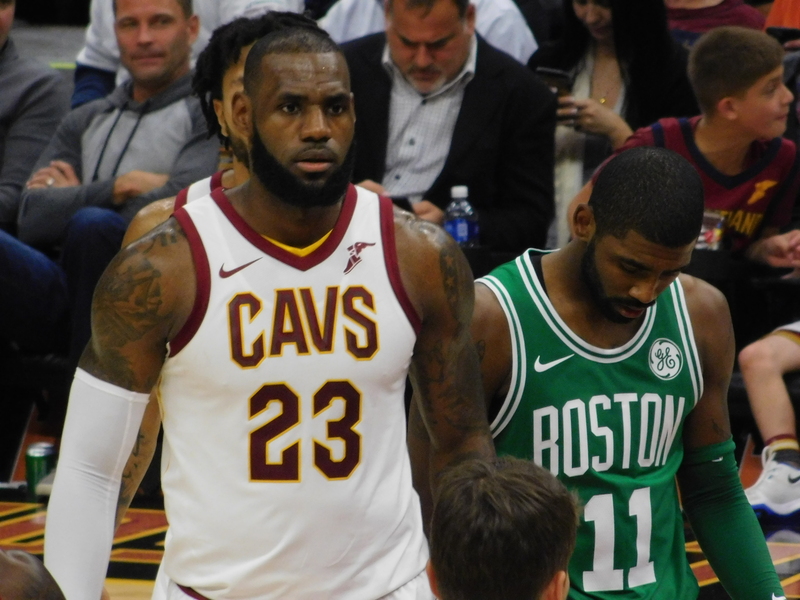 OAKLAND, Calif.– Ever since Kyrie Irving was traded to the Boston Celtics last summer, rumors have swirled that LeBron James wasn’t exactly thrilled with the Cavaliers’decision to go through with said trade. Now, prior to Game 1 of the NBA Finals, James confirmed to ESPN’s Rachel Nichols (via Brian Windhorst) that he did in fact speak with management and asked them not to trade Irving. Hindsight is, of course, 20-20. But with everything we know now, it’s hard to argue that the Cavs won the deal in any way. Isaiah Thomas (who never returned to All-Star form) and Jae Crowder (who never adjusted to playing without a set offensive system) were shipped out of Cleveland at the trade deadline. The much-lauded Brooklyn Nets draft pick ended up coming in at No. 8. Only rookie Ante Zizic remains from that original deal. But what would have happened if management had done what James wanted instead of Irving? It’s hard to say. In January, Joe Vardon of cleveland.com reported that Irving actually threatened to have knee surgery and sit out the 2017-18 season if the front office didn’t comply with his trade request. That surgery did come to pass for Irving at the end of the season. He missed the entire playoffs, and the Cavs took down the Celtics in the Eastern Conference Finals in seven games.